Over the past 20 years, Auntie Belham's Cabin Rentals in Pigeon Forge has grown to be one of the most trusted vacation rental companies in the Smoky Mountains. For much of the success, Auntie Belham's owners attribute to their great staff and strong family values. Auntie Belham's Cabin Rentals in Pigeon Forge is proudly celebrating their 20 year anniversary in business. We have been truly fortunate to have had the ability to work with such an incredible staff over the past 20 years. In 1994, what is known today as Auntie Belham’s Cabin Rentals in Pigeon Forge was just a small business, ran out of a general store, in the heart of downtown Gatlinburg. Today, Auntie Belham’s Cabin Rentals is celebrating 20 years in business. What once started out as a small second business has quickly flourished into a Smoky Mountain vacation staple in the industry. No longer operated out of the Gatlinburg shop, Auntie Belham’s Cabin Rentals in Pigeon Forge has its own office that is located just 8 minutes away from many popular area attractions including Dollywood, Splash Country, Patriot Park and the Old Mill. Other changes the company has witnessed over the years include a drastic change in the behavior of vacationers to the area. “Auntie Belham’s has always had a good name, and now we are trying to step up the game with the best in class customer service and offering our guests the best value for their dollar,” said Madewell. The one thing that has not changed for Auntie Belham’s over the years, however, is the company’s focus on family. When asked where he sees his business 20 years in the future, Madewell noted that he looks forward to watching his daughters continue to make the Pigeon Forge cabin rental company one that families will be pleased to vacation with year after year. With 20 years experience, Auntie Belham’s Cabin Rentals is the premier vacation management team for cabin rentals in Gatlinburg, TN, and surrounding areas. Locally owned, their primary goal is to provide each guest personalized service to make vacations effortless and easy. Auntie Belham’s Cabin Rentals’ offices are located at 1024 Charlotte’s Court, Pigeon Forge, TN. For additional information about Auntie Belham’s Cabin Rentals, visit their website at http://www.auntiebelhams.com, or give them a call at (877) 369-9694. 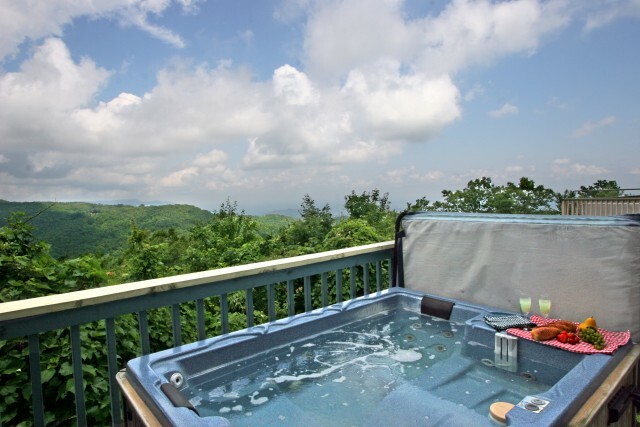 Auntie Belham's Cabin Rentals has been a leading provider for relaxing vacation rentals in the Smoky Mountains for over two decades.Taken from the private balcony of the Pigeon Forge cabin rental, Altitude Adjustment. Owners at Auntie Belham's Cabin Rentals in Pigeon Forge attribute much of their company's success to having a talented staff and strong family values.